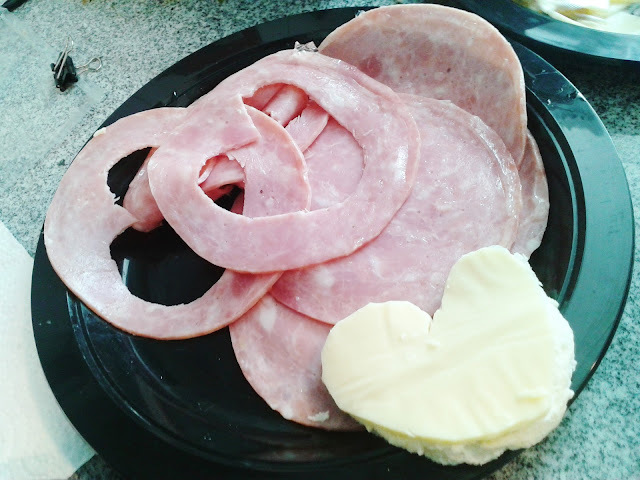 yume-chan popped by my place with hands so full of groceries! 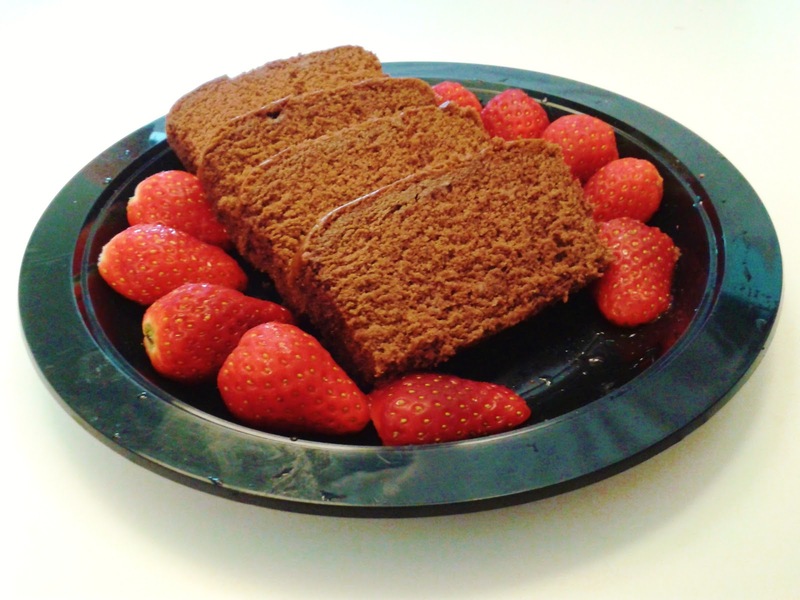 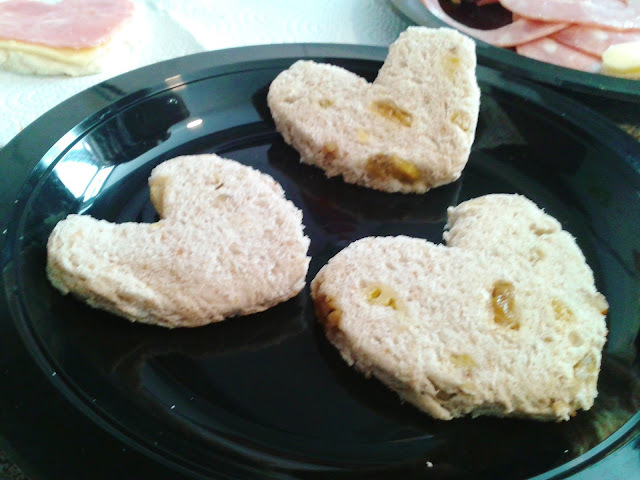 inspired by a valentines bento set on the internet, we cut little heart shapes from his favourite banana and walnut bread. 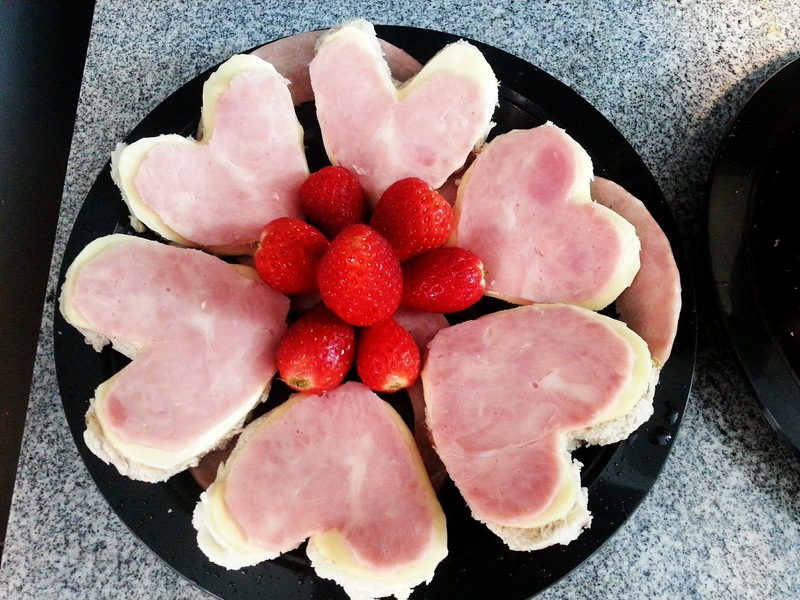 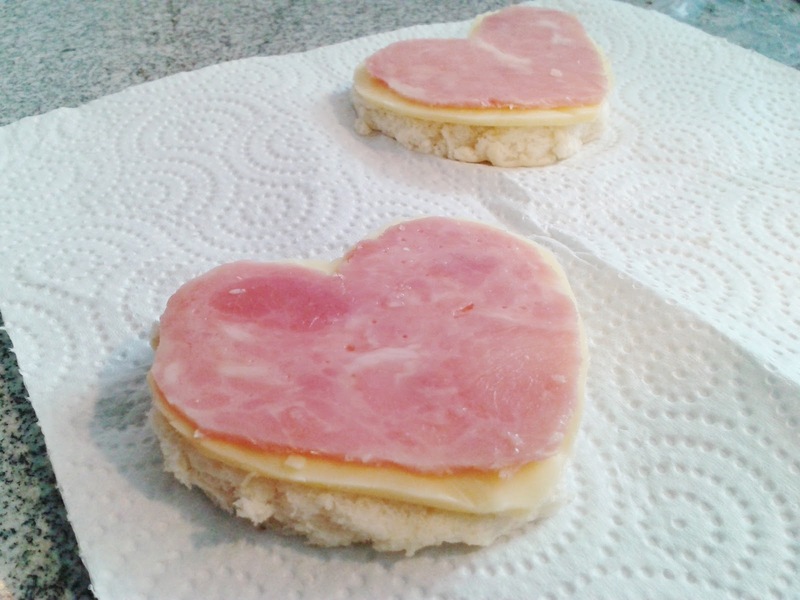 next, we tailored a slice of heart-shaped honey baked ham and cheese for each heart-shaped bread. putting them together... you'll get this!! 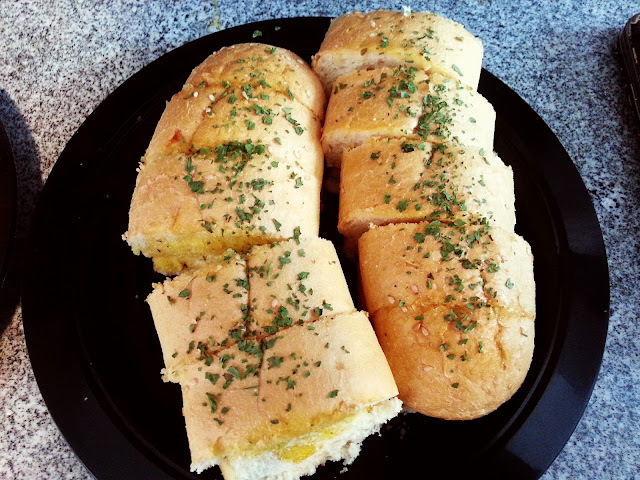 thick baguette slices stuffed with garlic butter, garnished with coriander bits. though lunch seemed pretty easy to make, way more effort is needed to make it decent! being quite a perfectionist, i had to slice many pieces of cheese repeatedly just to get the right shape. 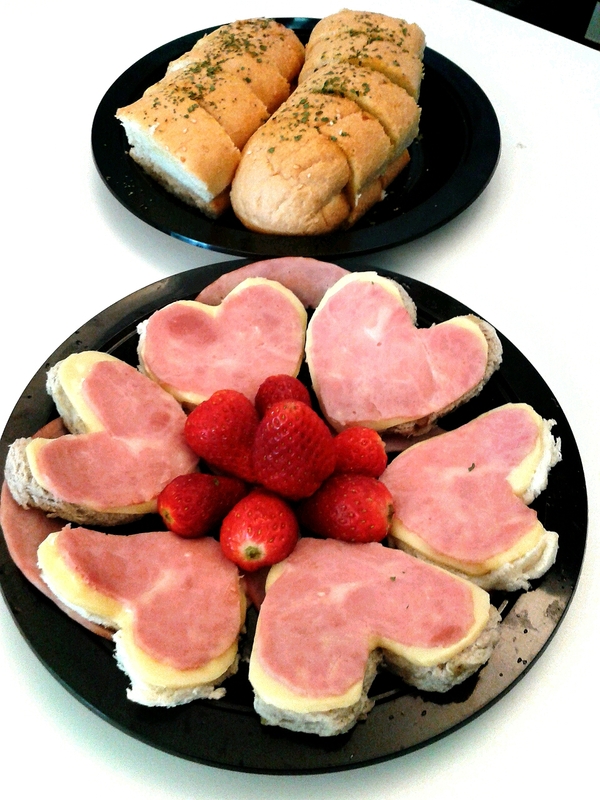 thankfully, our "raburabu anniversary lunch" mission was accomplished!